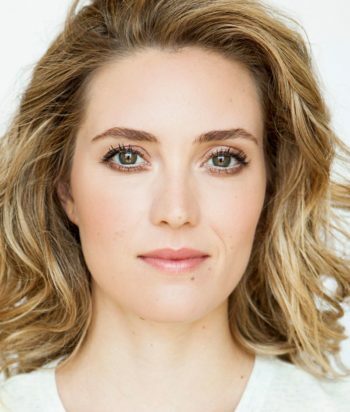 Évelyne Brochu is a Canadian actress. In 2013, she became well known for her English-speaking role as Delphine Cormier, a French scientist on the hit TV series Orphan Black. Brochu grew up in Pointe-Claire, a suburb of Montréal, Canada. Her native language is French, but she also spoke English from an early age. Growing up she had anglophone friends and learned English at Jean XXIII High School in Dorval, Quebec. She studied drama at the Cégep de Saint-Laurent. In 2005, Brochu graduated from the Conservatoire d’art dramatique in Montreal. She says a key turning point in learning English was when she became an avid viewer of The Fresh Prince of Bel Air as a child. Her father left when she was 1 1/2 years old and, when her father later remarried, she found herself with a step-sister. Brochu has stated that she has a good relationship with her stepmother. Her mother is a violoncello teacher and her father worked as a taxi driver. While out cycling, she was hit by a truck and was told by her doctors that to keep her knee in good shape she could no longer run or dance. She stopped both and took up yoga and acting.